Cecil Travis spent nearly four years serving in World War II and came back with injured feet after they had froze in the Battle of the Bulge. That unfortunate experience may have cost Cecil Travis a chance at the Hall of Fame. Despite that interruption, his career record still shines. A hard-hitting infielder, Ted Williams later compared Cecil’s swing to John Olerud’s. In 1941, Travis finished third to Joe DiMaggio and Williams in American League Most Valuable Player Award voting, batting .359 with 218 hits. His lifetime average of .314 is one of the highest ever recorded by a shortstop. Cecil Howell Travis was born on August 18, 1933, in Riverdale, Georgia, not far from Atlanta. The youngest of 10 children, he was raised on a 200-acre farm, where he worked year-round, but still found time to play baseball. While still in high school, Cecil starred for a semi-professional club in Fayetteville, Arkansas. In the winter of 1930-1931, former major leaguer Kid Elberfeld and Tubby Walton were running a baseball school for young players in Ponce de Leon Park in Atlanta. Walton heard rumors that Travis was the best player in the area and convinced young “Cece” to come to the school for a tryout. The skinny, six-foot tall 17-year old, who was often descibed as “gangly” in his early years, arrived with his raggedy glove in tow. Walton soon realized Travis was a top-notch hitter, fielder, and thrower. After failing to convince several low-level minor league teams to take Travis, Walton persuaded Elberfeld to sign Travis for his Chattanooga Lookouts, who had a working agreement with the Washington Senators. Elberfeld agreed to tutor Travis but squeezed $200 out of Walton to do it. Thus, Cecil Travis’s professional career began because a scout paid Kid Elberfeld to take a chance on him. Just 16 years old, the scrawny Travis hit .429 in 13 games for Chattanooga in 1931. Gaining confidence, in 1932 he played the hot corner and batted .356 for the Lookouts. The lefty-handed batter recorded 203 hits, 88 runs batted in, 88 runs scored, and a league-leading 17 triples that year, when he became the toast of Tennessee baseball. At that time, Travis was a hard-hitting opposite field hitter, with quick hands. “I was more of a late-swing hitter, I waited a long time to hit the ball,” Travis said. “I had to change things around with my swing at times. They start to pitch you different ways after a while. When they start that, you’ve got to change around, too.” Later in his career, Travis worked to become more of a pull-hitter, and enjoyed some of the finest offensive seasons ever posted by a shortstop. Travis appeared in 18 games for the Senators, mostly while Bluege was disabled. Despite hitting .302 in 43 at-bats, when the regular Senator third sacker returned, Travis was sent back to Chattanooga. Unfortunately, young Cecil was not on the Washington roster for the 1933 World Series, which they lost to the New York Gaints in five games. It was the last time the Senators ever played in the Fall Classic. In 1934, Travis was given the Senator third base job, supplanting Bluege, who was slick with the glove, but an inconsistent hitter. Bluege took his glove to shortstop in what was the first of several shufflings of the Senator infield during Travis’s career. Hitting over .300 early in the season, on May 3, Travis was hit in the head with a pitch thrown by Cleveland hurler Thornton Lee. After lying on the ground in what the newspaper called a “coma” for several minutes, Travis was carried from the field and hospitalized, missing nearly two weeks with a concussion. When he returned he struggled, but was still able to bat .319 in 109 games. It was the first of seven full seasons in which Tarvis batted at or above the .300 mark. In 1935, Travis established himself as one of the bright young stars in the American League, batting .318 with 170 hits in 138 games for the Senators. That season, in what would become a pattern in his career, manager Bucky Harris and team owner Clark Griffith became embroiled in a feud over Travis. In August, amid rumors that Harris was planning to switch Travis to the outfield, Griffith fired back in the papers. “If we could strengthen the team by moving him to the outfield, of course, we would do that, but that is not our present situation,” Griffith told the Washington Post in August. “In the first place, who is there that we have who is a more valuable third baseman than Travis? All the talk of making an outfielder out of him has been caused mostly by his heavy hitting. 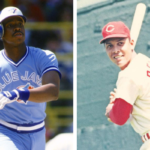 If his hitting were not so valuable, we wouldn’t think of using Travis in the outfield, where we need hitting strength.” The rumors were most likely due to the fact that Harris had his eye on Buddy Lewis, an 18-year old third baseman at Chattanooga. Travis ended up playing 16 games in left field for the Nats in 1935, but it was termed a “short-term trial” by Harris. Griffith would get his way, but third base would not be Cecil’s home for long. In the spring of 1936, Travis prepared for his third big league season by hitting the ball hard in the exhibition schedule. 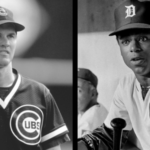 His strong hitting prompted Harris to give him the shortstop job in place of the light-hitting Bluege, whom he had supplanted at third base two years earlier. But less than two months into the season, on May 20, Harris announced he was moving Travis to right field. “I regard Travis as a great hitter, but the responsibilities of an infield job is (sic) affecting his batting,” Harris said, “There’s a lot to think about there at shortstop, and Travis is only a kid of 22 after all. In the outfield, he should strike his true batting stride and be a great help to the team.” Harris was making the move as much to bolster his outfield offense as he was to get Red Kress, a slugging shortstop, into the lineup. At first, Travis platooned with Carl Reynolds in right, before taking the full-time job. However, by August, Travis was back at shortstop, where he finished the season. In all, he hit .317 with 34 doubles, 10 triples, and 92 RBI in 138 games. At shortstop he was erratic: committing 23 errors in 71 games. It was Kress’s glove that did him in: he had more leaks than Travis, making 28 miscues in 64 games at shortstop. Entering 1937, Travis tried to shake his soft reputation, which drew the attention of Griffith. Several times during his first season as a shortstop in the big leagues, Travis had been run over by opposing players. The Wasington owner wrote Travis during the off-season that he expected Cecil to become more aggressive in his play in the middle of the diamond. Griffith wanted Travis to swing back hard if he felt the spikes of enemy runners. Travis had no problem with that request, under one condition: “If Mr. Griffith wants some punching done and will pay the fines, that’s okay with me,” Travis said, in January. In the spring, Travis worked to improve his glove work at shortstop, earning high praise from the likes of Frankie Frisch, who marveled at Travis’s defensive play during an exhibition game between his Cardinals and the Senators. “That kid will be the tops among AL shortstops,” Frisch said, “or I don’t know a ballplayer when I see one.” Unfortunately, the young infielder was bit by the injury bug that year. In the Nats final spring warm-up against the Baltimore Orioles of the International League, Travis suffered a torn leg muscle in a collision at second base during a steal attempt; on April 28, he tore ligaments in his elft knee while sliding into second base; and on August 11, in a game against the A’s, Travis and third baseman Buddy Lewis collided while chasing a grounder, with Cecil suffering a serious spike wound to his leg. Travis was out of the lineup for nearly two weeks, but still set a personal-best with 181 hits and a .344 average. The following season, in 1938, still ensconced at short, Travis batted .335 in his healthiest season yet (he played 146 games and avoided serious injury). That year he recorded 190 hits, banged out 30 doubles, and struck out just 22 times. Throughout his career, Travis was a difficult man to fan: he went down on strikes just 291 times in 12 seasons. Despite the efforts of Travis and teammates like second baseman Buddy Myer, who won the 1935 batting title, the Senators were unable to return to the first division in any season from 1937-1942. Other fine players on the Senators during that period included first baseman Joe Kuhel, catcher Rick Ferrell, infielder/outfielder Buddy Lewis, center fielder Sammy West, and Bluege. The Senator infield, despite all of teh switches that were made during those years, was very talented. After committing 40 errors at shortstop in 1938, and getting off to a mediocre start with the lumber in 1939, Travis found himself on the trading block. In June of 1939, the Senators, desperate for added punch in the their lineup, offered Travis to the Detroit Tigers for Rudy York, who would have filled Washington’s gaping hole at first base. But the Tigers, even though they were given a choice of any pitcher on the Senator team as a throw-in, declined the offer. Travis hit well over the last two months of the season, raising his average to .292, a figure still well below his career mark. In 1941, Travis got off to one of the hottest starts in baseball history, belting 15 extra-base hits in the first two weeks of the season while batting a blistering .526 in 14 games. Though he cooled off in May, he rebounded in June and ran off a 24-game hitting streak into July that boosted his season average among the league leaders. Later in the year, Travis tired from the strain of playing every day for the first time in his career. He switched to a lighter bat, and even hinted that a move to third base would help his productivity. Harris may have agreed, but he had no one else to play short, so Cecil stayed in the middle of the field. At the end of the season, Travis had hit .359, good for second in the batting race behind Ted Williams. Travis’s 218 hits led the league, and he belted 39 doubles, 19 triples, seven homers, and drove in 101 runs for a sixth-place club. At the age of 28, and with such a fine season under his belt, he was regarded as the best shortstop in the game. On December 7, 1941, the Japanese attack on Pearl Harbor propelled America into World War II. As the nation mobilized for war, baseball’s rosters were stripped of players as men entered the military, either voluntarily, or via the draft. Travis was drafted in February, 1942. “Of all the people we had to lose to the Army, Travis is the one who makes the biggest difference in our ball club,” manager Bucky Harris said, “as far as our club is concerned, Travis’ going is a slight case of murder.” The Senators were one of the teams who suffered the most, losing Travis, Buddy Myer, and most of their pitching staff in 1942. Travis entered the U.S. Army as an infantryman and reported for service in his home state of Georgia. After boot camp, Sgt. Travis spent nearly a year state-side training to be deployed into Europe. Like other major leaguers in the military, Travis performed on service teams, often facing top-notch big league competition. At various times in 1942 and 1943, Travis played with or against Pee Wee Reese, Joe DiMaggio, Bob Feller, and other stars from the major leagues. Later in 1943, Travis was one of the hundreds of thousands of Americans shipped to England to prepare for the invasion of mainland Europe. After the Normandy invasion in June of 1944, Travis fought in some of the most grueling battles of the war. During the bitter winter of 1944, Travis saw action in the Ardennes Forest, going several days without food or water, and severely freezing his feet as one of the “Bastards of Bastogne” in the Battle of the Bulge. Though he could have waited in Europe and rode out the end of the war, Cecil asked to be sent to the Pacific and fight there. While in the States mending his injured feet, the bomb ended the war, and he was discharged in September of 1945. Travis had missed nearly four full years of his prime (ages 28-31). When he returned home he was four years older and tired. Returning to the Senators late in 1945, with the team just one game behind the Tigers in the AL pennant race, Cecil was welcomed with open arms. “Travis is the man we need in this kind of pennant race,” Bluege said. On September 8, Travis was back in the Senator lineup playing third base, with President Harry Truman in the stands for the game against the St. Louis Browns. The Senators were unable to catch the Tigers, finishing 1 1/2 games back of Detroit. Travis batted .241 in 15 games, driving in 10 runs despite looking rusty at the plate. The following spring, the Senators had a new manager: Ossie Bluege, Travis’s former teammate who had lost his job to Cecil twice. Bluege wasted little time in declaring his support for Travis. “Travis is the best hitter on the ball club, and he’s going to be my cleanup man,” Bluege told reporters in March. Inserted into the #4 spot in the order, a position that Bucky Harris had never entrusted in him, Travis aimed for a big season in 1946. But nearly four years away from big league competition had eroded Travis’s hitting skill. In retirement, Travis returned to Georgia where he ran the family farm. Subsequently, he bought a home in Atlanta, where he lived with his wife and children in retirement, but returned to Riverdale in later years. He died there in 2006 a week before Christmas, he was 93.